PK Office 60B Rockfield Road, Penrose, Auckland. Office open Mon - Thurs 9am - 5pm. Staff available Friday on phone and email. Promise Keepers is an organisation for men. PK New Zealand runs major Men’s Events nationwide each year. The Events are open to all men and focus on life purpose, destiny and issues of character, integrity and manhood based on Christian values. Throughout the year Promise Keepers is also involved with other events, training, and Men’s Ministry support to churches. Promise Keepers also communicates regularly via print materials, email, webinars and social media. Our vision is to see “Ordinary Guys Transformed into Extraordinary Men” – men who will be positive influences in the lives of those people they know and love; men who will act responsibly and be proactive not passive; men who will lead courageously; men who put their promises into action. 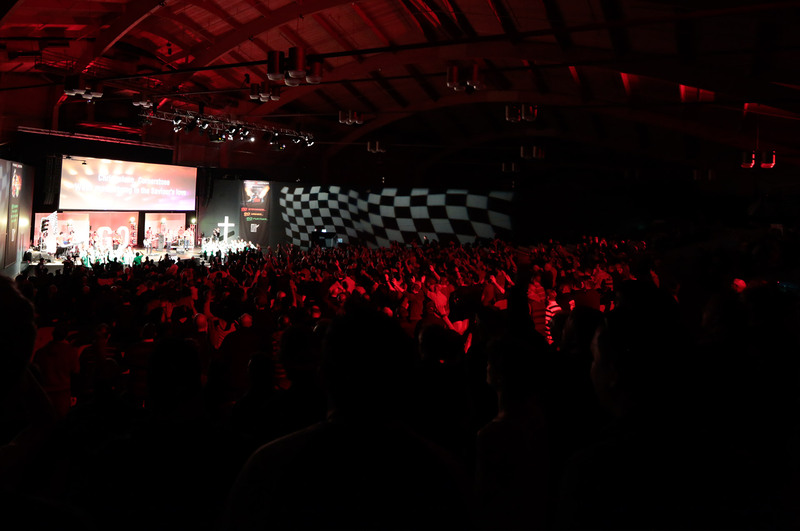 Promise Keepers New Zealand is a Christ-centred ministry dedicated to uniting men through vital relationships to become godly influences in their world. 1. Honouring Jesus Christ through worship, prayer, and obedience to God’s Word in the power of the Holy Spirit. 2. Pursuing vital relationships with a few other men, understanding that he needs brothers to help him keep his promises. 3. Practising spiritual, moral, ethical, and sexual purity. 4. Building a strong marriage and family through love, protection, and biblical values. 5. Supporting the mission of his church by honouring and praying for his pastor and by actively giving his time and resources. 6. Reaching beyond any racial and denominational barriers to demonstrate the power of biblical unity..
7. Influencing his world, being obedient to the Great Commandment (Mark 12:30,31) and the Great Commission (Matthew 28:19,20)..
- We believe that there is one God, eternally existing in three persons: the Father, the Son, and the Holy Spirit. (Deuteronomy 6:4, I Corinthians 8:4, Psalm 90:2, I Timothy 1:17, Matthew 28:19, II Corinthians 13:14). - We believe that the Bible is God's written revelation to man and that it is verbally inspired, authoritative, and without error in the original manuscripts. - We believe in the deity of Jesus Christ, His virgin birth, sinless life, miracles, death on the cross to provide for our redemption, bodily resurrection and ascension into heaven, present ministry of intercession for us, and His return to earth in power and glory. - We believe in the personality and deity of the Holy Spirit, that He performs the miracle of new birth in an unbeliever and indwells believers, enabling them to live a godly life. - We believe that man was created in the image of God, but because of sin, was alienated from God, that alienation can be removed only by accepting through faith God's gift of salvation which was made possible by Christ's death.